"They were the main three factors. This year the team is a lot fitter, the cricketers are a lot more mature because that was a very young group four years ago. It has gained a lot of experience in the last three or four years. I love the tournament because it represents a challenge from the (word) go. ", he further added. Yuvraj Singh is four short of playing 300 ODIs for India. During the ODI series in Australia last year, Shikhar Dhawan had scored 287 runs in five matches at an average of 57.40 and a strike rate of 100.34. Since that tour, Dhawan has been through an indifferent form, especially in international cricket. Talking about ODIs in particular, he has featured in only a couple of ODIs since January 2016 and has returned with scores of 1 and 11. 223 runs that Dhawan scored in three matches during the Deodhar Trophy earlier this year in addition to the injury caused to Lokesh Rahul in addition to the 479 IPL runs in 14 matches have made sure that Dhawan was in the squad for the Champions Trophy. Another concern for Kohli would be to select one out of Dhawan and Ajinkya Rahane to partner Rohit Sharma at the top of the order. Dhawan seems the likeliest option for he has had more success in ODI cricket as compared to Rahane. Also, in the nine matches that the duo has played in England, Dhawan has scored 518 runs at an average of 78, including two centuries. On the contrary, Rahane has scored 350 runs at an average of 38.88, including his maiden century. Dhawan was even declared the Man of the Tournament in the previous edition of the Champions Trophy, scoring 363 runs in five matches at an average of 90.75 and a strike rate of 101.39. The following batsmen in Kohli, Yuvraj Singh, MS Dhoni and Kedar Jadhav form a formidable batting line-up. The quartet scored individual centuries against England in India's last ODI series. Yuvraj and Dhoni bring an unparalleled experience of 582 ODIs with them. Jadhav would like to stand on his ODI strike rate of 121.55 as he is all set to play the finisher's role in the side. The lower order is where the management is likely to put their heads together. There are two ways to complete the playing eleven. In the first one, play Hardik Pandya, Ravindra Jadeja and Ravichandran Ashwin in addition to the two fast bowlers (out of the four that are in the squad). In the second one, play the two spinners and three genuine fast bowlers at the expense of Pandya. The second one seems the better of the two even if it means that India will have to compromise a bit on the batting front. Talking of the fast bowlers, it is another aspect which might cause confusion in Kohli's head. Bhuvneshwar Kumar is tailor-made for English conditions. Jasprit Bumrah is one of the best in the business when it comes to bowling in the death overs. Umesh Yadav has been performing consistently for India for over a year now. Mohammad Shami has it in him to perform is these conditions but has not played an ODI for the past two years. He last played in the semi-final against Australia during the ICC Cricket World Cup 2015, which might become the reason for him not being in the playing eleven, especially in the initial matches. Ajinkya Rahane is a far better batsman than his ODI numbers suggest. He would want to make amends to those numbers. Hardik Pandya might consider him unlucky if not given a place in the playing eleven for someone of his abilities is highly likely to play in the English conditions. Dinesh Karthik would be once again looking to revive his international career through the Champions Trophy. He was included in the squad following an injury to Manish Pandey. It has been more than three years since he has played an ODI for India. He is coming on the back of heaps of runs in the domestic circuit. 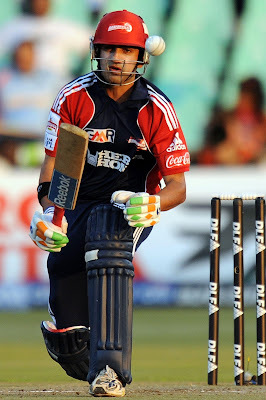 The 31-year old right-hand batsman was the highest run-scorer in the Vijay Hazare Trophy (607 runs in nine matches at an average of 86.71 and a strike rate of 102.01) as well as in the Deodhar Trophy (247 runs in three matches at an average of 82.33 and a strike rate of 115.42). Depending on how the other fast bowlers perform, Mohammad Shami might also get a look in.